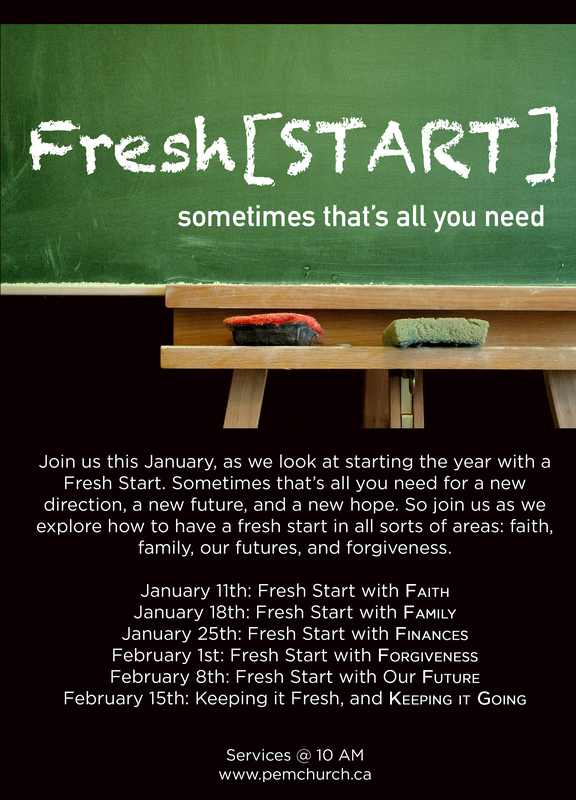 This Sunday we are really launching into our new series – called Fresh Start. And I think that’s what we need this year – a fresh start – a new beginning. We accumulate junk in our lives, just by living. And sometimes we just need to leave it behind, we need to start again, we need to wipe the slate clean. That’s what we are going to not only learn about, but experience on Sunday. So my question for all of you, whether you are followers of Jesus or not is this: where do you need a fresh start this year? Because that question matters for all of us wherever we are at. We all have hurts, brokenness, and relationships that just need a new beginning. So where do you need a fresh start this year? And come Sunday we’ll discover how to find that, by why wait till then? Why not ask God to simply start that fresh start in you today. Because what we see is that anyone united with Jesus gets a fresh start and is created new. And I believe that’s true. Previous The Leadership Test: Are you leading, or helping others to lead?